﻿The job market is a jungle out there. With so many fresh graduates being released into the corporate world, the competition today is fiercer than it was a decade ago. In fact, many companies have opted to utilize an Applicant Tracking System (ATS) in order to single out the most suitable candidate. These systems have become so advanced today, that in some special cases, they are upgraded with Artificial Intelligence programs to make the selection process more accurate. And that is why your ATS resume has to be perfect in every single way. So how does the ATS resume system work? Well, when a job is created by a company or a business, it is advertised either on the company’s website, or on online job-seeking boards. Job-seekers who meet the relevant criteria will then apply for the given job. The job-seekers will then be recorded in the ATS database and will thoroughly be screened to see if they meet the requirements. The company will further conduct subsequent interviews for two purposes; one is to pick out the most suitable candidates. The other is to eliminate candidates who met the requirements but do not have the character to blend in with the company’s work ethic. As a reliable resume writing service provider, we have dedicated extensive research in comprehending how different ATS systems work. A majority of our clients always ask as this, “Are you sure you can make my resume ATS compatible?” And the answer is YES. We do so in the following ways. Applicant Tracking Systems, once they gathered several resumes, will rank them depending on the information it contains. If you want to make sure that your resume stays at the top, you should take into account the resume format for ATS. The format in your resume is very important so that the system does not lost any vital information in your paper. Another important thing you need to take into account, is the use of keywords. An important tip is not to use the same resume for every application. You need to take time to tailor it for each job so that the system ranks you higher. If you want to appear in the first positions, you need to pay extra attention to the way a winning ATS resume format is written. While you should put keywords to optimize your CV, you need to be careful not to overdo it. When writing your resume, make sure you include words that describe what the company is looking for. Do not cheat the system by adding more words than necessary. Also, your title should be clear and contain a few keywords as well. The format is another thing you need to take into account. Your resume should be written in a simple format. This way the system can process it correctly. How Can I Test My Resume for ATS Readability? Making sure that you have written an ATS optimized resume is very easy. First, you need to locate the keywords in the job description and see if they appear in your CV. For example, if they are looking for someone with knowledge of WordPress, make sure you include WordPress in your resume. Also, ensure that you have included the hard and soft skills the company is looking for. Make a quick search to check they are in your resume. There are certain ATS resume guidelines that can help you write a strong resume. One that will get you a high percentage match. So take note of these steps. First, you need to carefully read the job offer. Make sure that you understand what skills they are looking for. Once you know them, it will be easy for you to tailor your resume for that particular job. Then, you will need to locate those keywords in your CV. You need to ensure that you have the skills and the experience they are looking for, as it will be easy for you to get a higher rank. 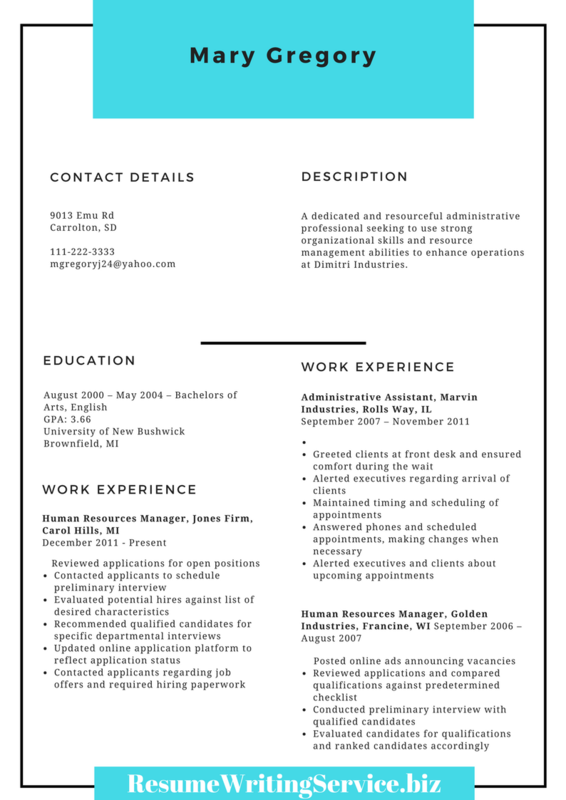 Continue by writing your resume in a simple format. Keep titles and dates clear. This will help the system to process your information. The work experience section should be the most important part of your resume. So pay extra attention to it. Do not forget to revise your CV once you have finished writing it. Make sure that you have address the requirements in the job description. There should be no typos or language mistakes. A quick proofread can help you see if there are tiny mistakes, but you may need to do a thorough language check to ensure it is coherent. Resume writing: Resume writing is the core principle of our service provision because we understand that this is where majority of our clients suffer the most. Writing a killer resume that draws attention requires focus, patience, and a detail to attention for all the requirements needed by the company. It also requires consistent creativity, which our team of experienced writers has worked diligently to develop. Resume editing: Perhaps you already have the ideas put to paper, but it somehow feels like there is something missing. You know, the application feels a little dry upon your first read. Maybe it could be that the content just doesn’t flow too well. In that case, you can access the superior editing skills of our ATS resume writers to turn it around. And submit a killer ATS review resume to the company of your choice! CV writing: Your CV is a detailed list of your academic pursuits, your work experience, your strengths, and lastly your hobbies. Our service team will develop a comprehensive CV with accurate chronological order of your academics and career. LinkedIn profile development: LinkedIn has become the biggest online platform today to access qualified professionals in a given field. And this has attracted top-tier companies and enterprises that are looking to recruit the best professionals around. One that immediately draws attention to the skills that you can offer. We provide guidance and techniques to aid you in developing a profile that ultimately draws in clients. And later results in a higher employment success rate. Cover and thank you letter writing: Official cover letters require the writer to be straight to the point, and convey their message appropriately. Many a times we find that job-seekers have no clue on how to write an attractive cover letter to complement their CV or resume. As the ‘head’ of your resume, your cover letter needs to be precise and concise. Filler content is strictly a ‘no-go’ zone. Hence, we provide high quality cover letters that bring out beautifully your intention to apply for a job! Interview coaching: Why are interviews important? Are they really necessary in today’s modern age? The answer is YES. Despite the revolution of remote-working, clients still require potential employees to discuss with them future prospects, and how they believe they can help them. Job search assistance: It can be quite difficult to search for a job. Better yet, a job that perfectly meets your requirements. With so much competition out there, getting to know of a job opportunity early on is becoming increasingly important. And that is why we provide essential services that help you find a suitable job and successfully apply for it. Reference verification: Many companies always go the extra mile of checking your references before inviting you for an interview. In fact, having credible references will really help increase your chances of landing that dream job! That’s why we offer you a reference verification service to ensure that your references are up to date and suite your resume. A 50% increase in response to your job application. Extensive background research on the company you are applying to and gauging how to create your application to suit their criteria. Increased confidence in your interviews as a result of appropriate pre-interview training guidance provided by us. Meeting all ATS requirements for a job before applying. So make your ATS resume request today and we will immediately take you from a zero to a hero with your job applications!